Nooq is a dynamic, fast developing, tech startup based in Scotland. The first team communications app of its kind, Nooq is a visual communication platform that cuts through the noise. Creating graphic heat maps that amplify the important issues, you can quickly see your working day at a glance. Communications is very hard to do really well. I gave Erik at Launch Module Media a very stern test and he surpassed my expectations. We had an investor deck that was already in Erik’s words an 8.5-9/10 — he wasn’t sure how it could be improved. We had worked on our messaging for 18 months continually trying to improve it and had a hit a wall. Erik took our messaging to a new level, and condensed our value proposition with an amazing new strap line and more zing to the message. You can tell when someone is a master of his craft, Erik worked tirelessly on delivering to the highest standards, which for a startup condensing a pitch down to 1-3 minutes, then a deck to back that up is an extreme challenge. Erik is a master of that. I would have no hesitation in recommending Launch Module Media. Feedback we had from a VC investor was we have the best startup deck he has ever seen. Are you working on a pitch deck for your startup? In the last several months, Nooq has really started to take off. There is major buzz on the application in the European venture capital community and now the press is starting to build. The word radical is one of my favorites. It stems from the Latin word for root, radix. In fact, the English term doesn’t veer that far from its Latin origins. Among its meanings is “arising from or going to a root or source; basic: proposed a radical solution to the problem.” To be sure, some ostensibly intractable business problems require radical solutions–and email is a perfect case in point. As the statistics below manifest, it’s no overstatement to call email an epidemic in many organizations. “Email today is like playing whack-a-mole on groundhog day,” says Graeme Bodys, CEO of nooQ, a communication platform that collects and stores the powerful knowledge of your team.” Trying to keep on top of it is never-ending. We need to change that.” Read more at huffingtonpost.com. Can a Scottish startup give uber popular enterprise collaboration tools like Slack a run for their money? “Slack doesn’t work,” Graeme Bodys, the founder of four-year-old nooQ told CMSWire. Glasgow-based nooQ just won cool tool and cool feature awards — for the second consecutive year — at the Social Now conference in Europe over competitors like IBM Connections, Atlassian and MangoApps. “We were absolutely completely blown away,” Bodys said. Read more at cmswire.com. 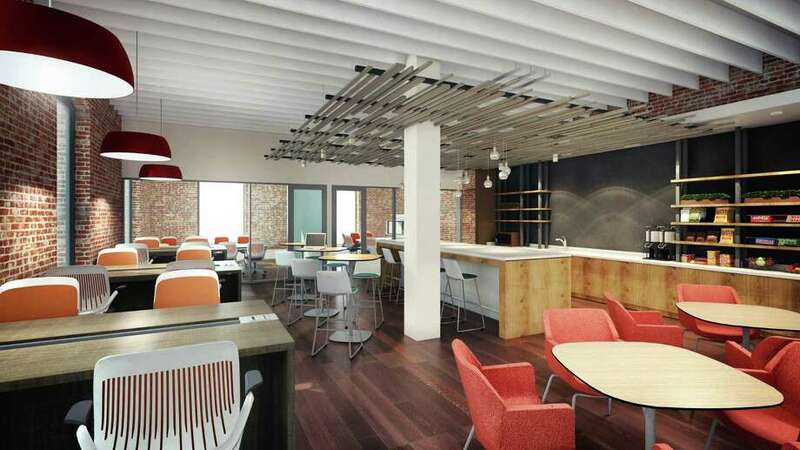 Serendipity Labs continue to develop and expand their model of premium coworking space as the regional footprint expands in the Northeast and to cities like Atlanta and Chicago.